A few days ago I saw a facebook post by Cheeseslave stating “bone marrow contains 10-20 times more K2 than liver”. Sounds great but it left me with a few questions. Question #1- Why do we need K2? Question #2- How much K2 is in liver? Question #3- But how does bone marrow taste (because it doesn’t sound very good)? Answer to Question #1: K2 promotes broad facial structure, healthy bones and teeth, a properly functioning nervous system, and robust cardiovascular health plus it could reduce the risk of liver cancer1 (read more about K2 here). Boy, that all sounds good. Answer to Question #2: I wasn’t able to find any numbers as to how much K2 is in liver. I did discover that butter oil, fish liver oil and organ meats are suspected to have the highest concentrations of K2. Also mentioned as having high concentrations of K2 were fermented cheeses and Natto (fermented soy beans). I’m hoping that my beloved lacto-fermented fruits and vegetables also are a source of K2. Answer to Question #3: For this one I figured we might as well find out. ‘We’ happened to be me and Christopher my food loving 12 month old. I had a bag of ‘marrow bones’ that I had received with my beef CSA order a couple of months back. I used the instructions in Nourishing Traditions for making beef broth and put my bones in a 350 degree oven. I cooked them about 10 minutes, then flipped them over and cooked another 10 minutes. Then I used a butter knife and ‘poked’ the marrow out. From all my bones this is all I got (good thing it was just me and Christopher home). Alot of what came out was fat so I separated some of the fat out (the bones and fat went into the crock pot to become beef broth). We kept it simple and toasted two pieces of sourdough bread, topped each with a little homemade mayonnaise and then smeared the marrow on top. OH MY! It was delicious. I was left wishing that we had more bones. I made us each another open faced sandwich of kefir cheese and kippered herring and Christopher gobbled up the marrow sandwich before he would even taste the cheese/herring one. I would say it was a hit. I plan to order marrow bones again and next time hope to get larger ones. While researching this article I found tons of recipes for Roasted Bone Marrow including this one from Whole Health Source in which one of the commenter’s states ” Mmmm, marrow… It appeals on such a primal level.” I have to agree with that statement. Have you tried Bone Marrow? What did you think of it? 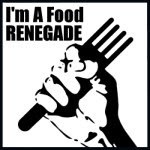 This post is a contribution to Fight Back Friday hosted by Food Renegade. >I haven't tried eating the marrow, but I do throw them in the soup pot to make broth. My family can't be around when I do, but they don't complain when they're enjoying the finished soup! >I like bone marrow pretty well. And of course it adds a lot to bone broths as well. Too bad it's a bit expensive to order them by themselves from my local store! >I saw Anthony Bourdain eating marrow bones once on his show "No Reservations" and this got me interested so when I had some meaty ones on hand to make broth, I browned them in a pane and ate the marrow out of them. It was fantastic! I had no idea they were also so high in K2. If you get some kitchen time when no one is around and can roast some bones and try it, I think you will not be disappointed. I don't think I would be able to convince my teens to try it. I haven't had much opportunity for finding marrow bones other than the little ones I got from my CSA. I'm hoping that next time they butcher she can get me some big ones like in the picture that I linked too. They look great! I didn't know about the K2 either until the facebook post. It is always great to find something that tastes wonderful and is nutrient dense. >My 11-month old hasn't tried marrow yet, but I bet he would love it too. He is a food lover too (his favorite seems to be beef… he liked swiss chard when he tried it for the first time yesterday too)!